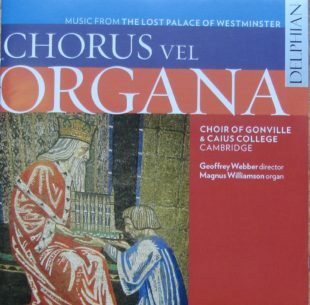 This is a new CD from www.delphianrecords.co.uk (producer Paul Baxter), with Geoffrey Webber and the choir of Gonville and Caius College Cambridge singing music written by Nicholas Ludford, anon. and others for St Stephens Chapel in the lost royal palace of Westminster. Organ versets ‘upon the Squares’ devised and played by Magnus Williamson on our Tudor organ made for the www.experienceofworship.org.uk see https://www.goetzegwynn.co.uk/organ/st-teilos-church-organ-at-st-fagans-cardiff/ It is a wonderful CD – a revelation.